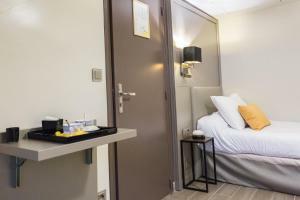 Pratic Hotel is situated in the fashionable Marais area, just 300 metres from Place des Vosges and 150 metres from Saint Paul Metro Station. It features a classical décor and offers free Wi-Fi access. 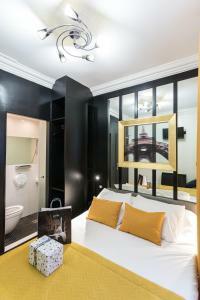 Each room is equipped with a TV and has a private bathroom with a shower and a hairdryer. A continental breakfast is served daily. You will find a large variety of shops and restaurants within a 5-minute walk from the hotel. 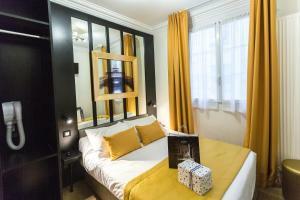 Both the Place de la Bastille and the Ile Saint Louis are within a 10-minute walk. 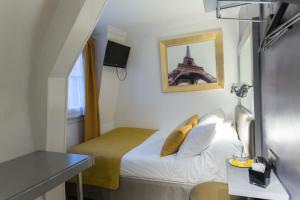 This room features a view of Place Sainte Catherine. 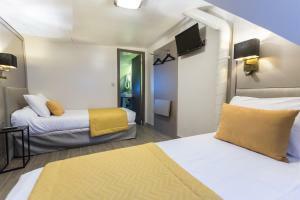 It includes a TV and a private bathroom with a shower and a hairdryer. This room has a TV and a private bathroom with a shower and a hairdryer. Rate: € 73.00 ... € 159.00; select dates below to get current rates. Rate: € 92.00 ... € 152.33; select dates below to get current rates.